I spent 20+ years doing business in Asia and 7 years living in China, travelling around Asia and watching the excitement of the growing markets and opportunities. 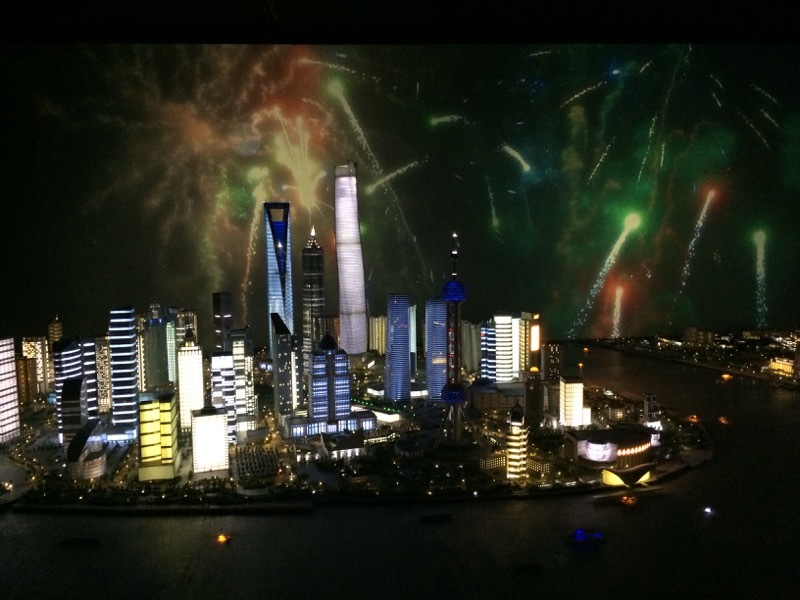 For this article I will keep the focus to the “China GTM (go-t0-market) Strategy” and not look at other cities outside of Mainland China, but their are many great opportunities in Asia beyond China. Its undeniable on the importance of Greater China and Asia in the Global Economy from a product, supply chain, operations, and customer perspective, immersing myself in the business, cultures, languages, was valuable and empowering. In this post, I will look at the economy, the market, the opportunities and a few examples in each area from above. 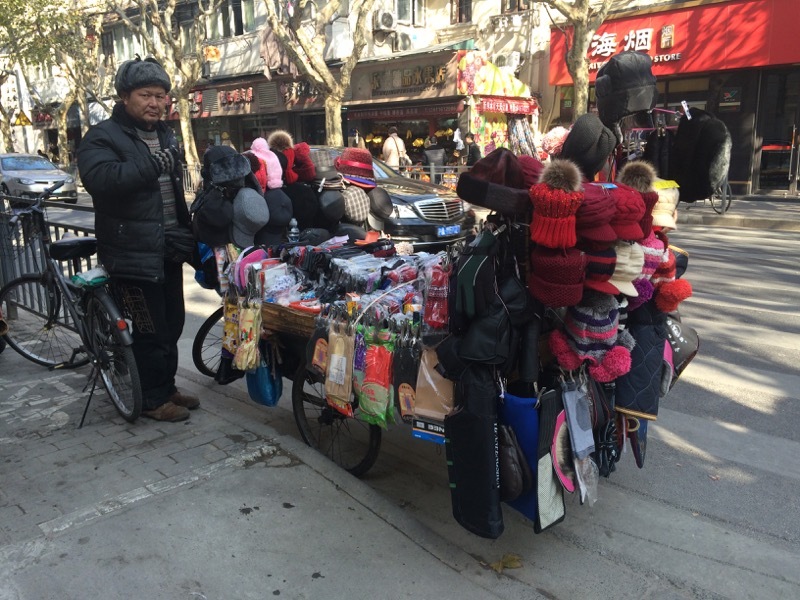 What I like most about existing (living) in China is the sense of entrepreneurship, as you can see it on every street corner, with someone trying to sell something (anything). Well there are many foreigners arriving daily to pursue their passion for exploration, schooling, career, and entrepreneurship. 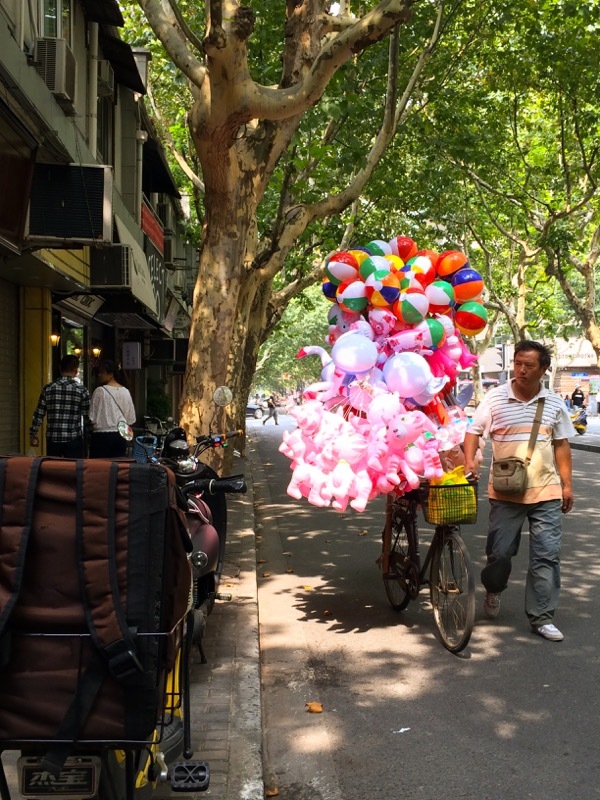 This is one area in Shanghai called YKL (YongKang Lu), where foreigners have established a presence (operations and living), where some celebrate their feats; whilst others escape their pains. The celebrations include but are not limited to, a large expat pay check, a job promotion, the opening of a business, surpassing business milestones, and/or getting your visa approved. Some of the pains are the loss of a business, having a low paying job, living in substandard housing, living paycheck to paycheck, the frustrations with the Chinese government and people. Both migrate to celebrate life and their surroundings. Many corporations and people excited about the opportunity and want to be involved with the fastest growing economy that is fuelled by 1.4 Billion consumers and the fastest growing middle class in the world. 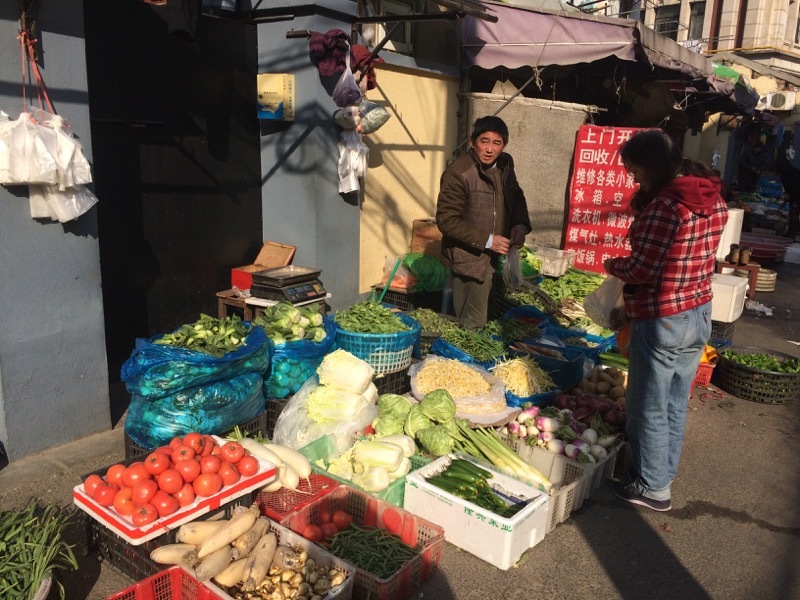 China realizes that consumers need food, with 26 million people in Shanghai everyone needs to eat, so there are food options on almost every street corner. 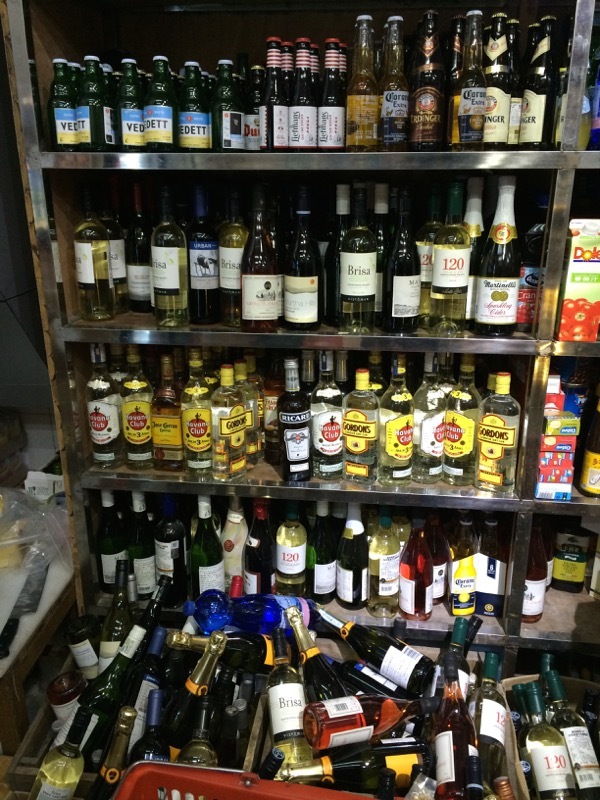 If you want more variety or fun, chances are someone will be passing by selling it to. 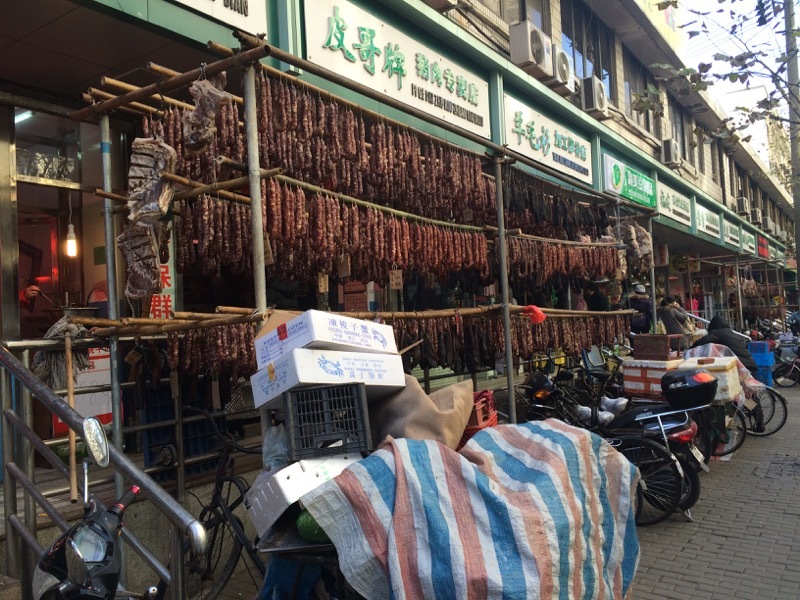 Being able to establish and grow a business in China is a challenge, which is why only a few survive. This is usually determined by executives in the corporation who have visited Mainland China. What type of business and entity is needed. What are the restrictions for purchasing land or leasing for foreign entities. What are the tax and business laws for the type of business you are establishing? What are the employment laws? Where and how do you start selling or providing your services. What are your GTM restrictions and limitations as a foreign entity? Who do you trust, and why do you place the power in their hands. Why is this business model the right one. One thing to be aware of is it’s not always Blue skies in China, and you will need to see beyond the haze (fog, smog) or whatever is in the way. Shanghai Haze – How’s your vision? 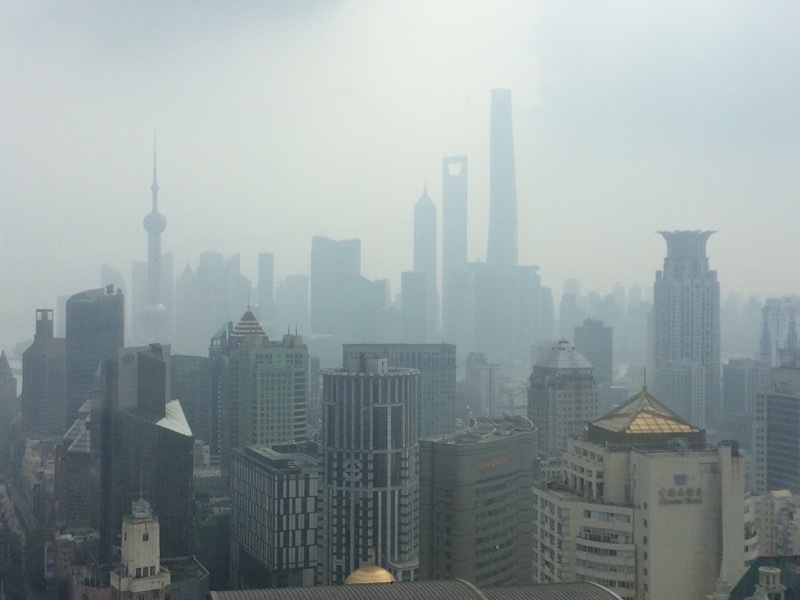 Shanghai Haze – How’s your vision? Can you handle the pollution? The “haze” crosses the lines between the enviroment, politics, languages, cultures, acceptable business practices and ethics of being Chinese in a communist country. Many will come and many will leave, with only a few being able to survive the conditions and environment of their surroundings. First let’s be clear about something, China is a communist country, and China loves China, and wants to promote China first and foremost before any other country. If you have developed a business (product) and it’s getting traction, chances are the government will be stricter and someone will be knocking you off very quickly and effectively. Look at the foreign companies below and the Chinese alternatives. So what’s your game plan? Your differentiator? Your intent? What makes your company, service or your product so unique? China is different so be prepared for everything and anything. 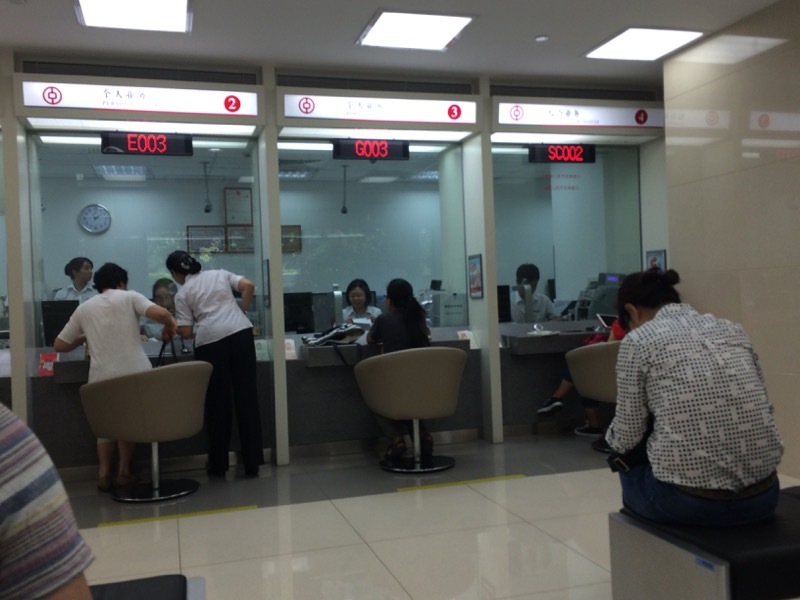 Banking – Be Patient and Be Prepared to WAIT!!! This story starts back in 2005 when Google was battling with Baidu and Ebay against Taobao, two unknown Chinese companies who would change the landscape of internet and ecommerce in Mainland China in the following years, China Opportunities. Below I will explore failures, attempts, companies that exist, and amazing success stories. Business that were in China but are no longer in China, they left due to business GTM choices, local Chinese competition, favourable Chinese laws, employment laws, accounting irregularities, market or government conditions that forced them out. Google, one of the most famous companies globally has been banned from providing their services inside Mainland China, and this has been ongoing since 2008 and it’s getting worse not better as all Google products are banned in Mainland China, in 2015 China banned G Mail, which is a popular email service used by local Chinese and foreigners. Everyone had to scramble for a Chinese approved alternative. 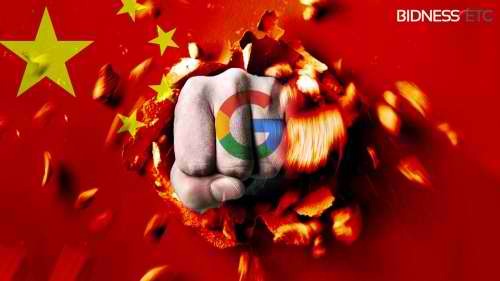 Google continues to fight, argue, and defend its services, which I believe is the reverse of what they should be doing if they want a piece of the Mainland China market. Google is losing billions of dollars on lost opportunities, well spending millions to prove their point. Robin Li created a small company called Baidu to replace Google and serve the needs of the Chinese consumers, today Robin Li’s net worth is USD $10 billion dollars. FYI, Baidu does not replace Google, it doesn’t have the same algorithms and intelligence. but it’s the only option if you’re Chinese. 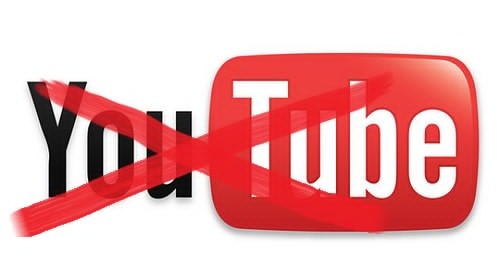 YouTube, has been banned in China for since 2008 due to censorship issues and politics, how you choose to play ball under Chinese laws is much different than the Western world, as their is no “Freedom of Speech”. Due to their absence many Chinese video/media sites have blossomed, one of the most famous ones, Youku who acquired Tudou back in 2012, and in 2015 Alibaba purchased both at a value of USD $4.4 billion. YouTube was there before both companies were in business, so it’s a lost opportunity. Yahoo (Ebay), in 2002 they bought a one third stake in EachNet, which was an Auction site set up by Chinese businessman (Yibo Shao) and his partner, three years earlier, in 2003 Yahoo bought the rest of EachNet for $150 million. Ebay EachNet was gonna be the only auction site in Mainland China. But in 2003, Chinese businessman (Jack Ma) was starting a competing consumer-to-consumer (C2C) auction site called Taobao, and partnered up with Japanese bank (Soft Bank). It was a battle that played out in the Chinese marketplace, which was the battle of the Shark in the ocean versus the crocodile in the Yangtze River with Taobao being more customer focused and user friendly. In 2005 Yahoo acquired a 40% stake in Alibaba Holdings, which included Taobao for $1 billion dollars. 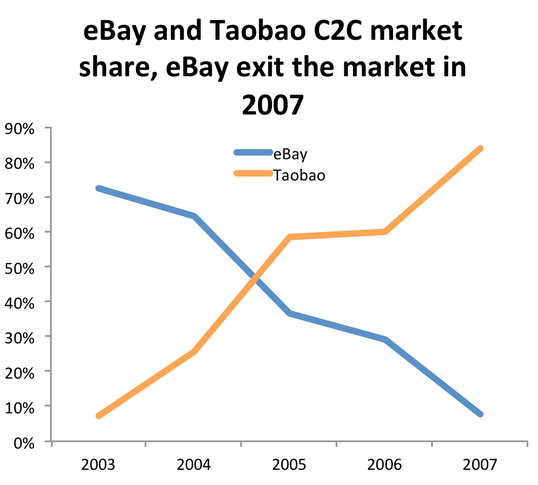 One company’s misfortune quickly becomes another’s success, so even though Ebay failed in Mainland China the investment in Alibaba has gone up twenty or thirty fold. 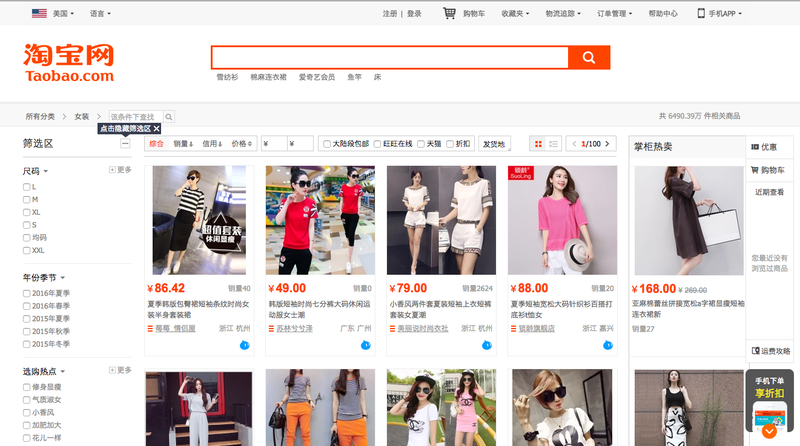 Alibaba Holdings has grown to be the leader in online e-commerce revenue in Mainland China. Since Taobao was so popular, Alibaba created another successful online retailer called T Mall with over 40 million visitors per day. Today Alibaba’s market cap is USD $196 Billion. Today, there are hundreds of online shopping sites in Mainland China all doing billions of dollars in business. Alibaba Holdings has become one of the biggest sensations of retail growth in the 21st century with online single store one day sales of RMB 35 Billion which is over USD $5.5 Billion. Bestbuy, arrived to China back in 2006 with a vengeance by establishing a Chinese presence by acquiring a majority stake in a Chinese corporation, Jiangsu Five Star Appliance Co. and proceeded to open up nine locations. The competition at retail online and offline was too difficult for them to manage, grow, and prosper. As well there were difficulties with understanding the business and management (laws, ethics, policies, and culture) style within Mainland China. 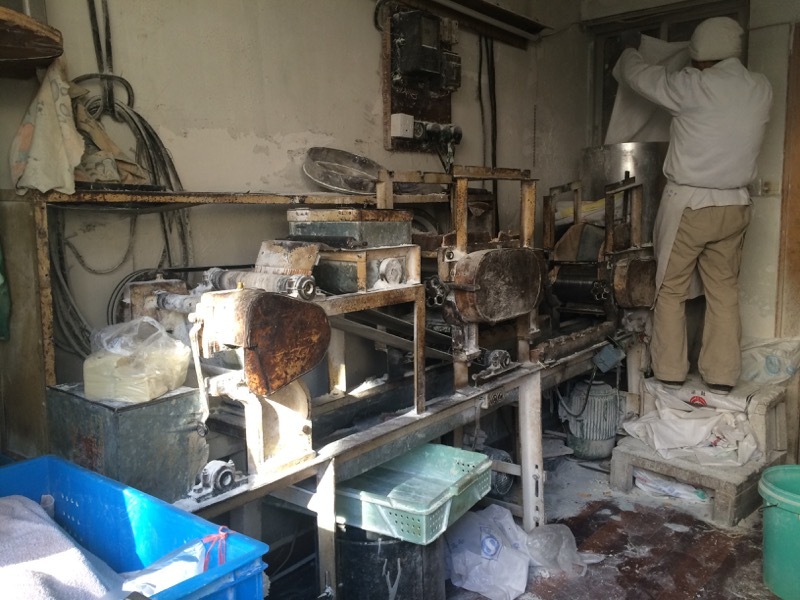 In 2011 they sold their Chinese operations and decided it would be best to focus on North America. 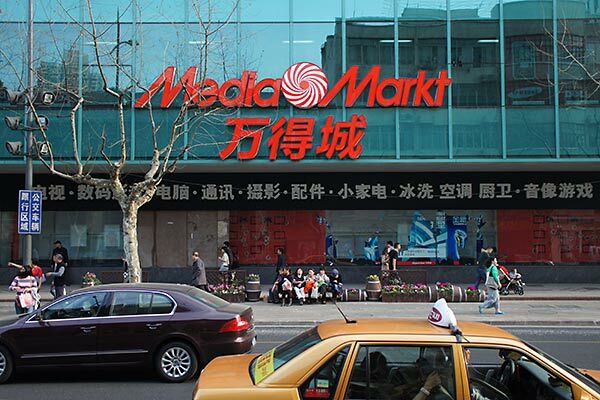 Media Markt, came to China in 2010 hoping to capture some market share from the USD $193 billion dollar (2012) and growing market, so they created a joint venture with Foxconn, with hopes and dreams to open over one hundred stores, Media Markt Expansion. In 2013, following suit with Best Buy, they decided to close all seven of their stores . They left due to a “Highly competitive market environment”, the strength was the local businesses who understand the landscape and people. The operations, pricing, and GTM strategy was impossible to compete with as a foreign enterprise operating a for profit business. Both Best Buy and Media Markt competed with local businesses, Suning and Gome. 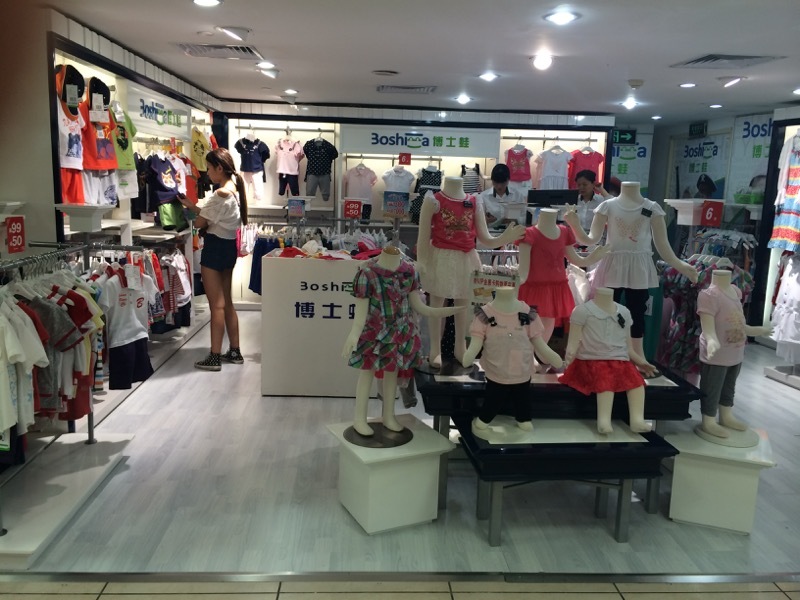 Boshiwa, a company created by a local Chinese mainland businessman (Zhong Zhengyong) that was established in 1997 to target the baby, toddler, and kids market. 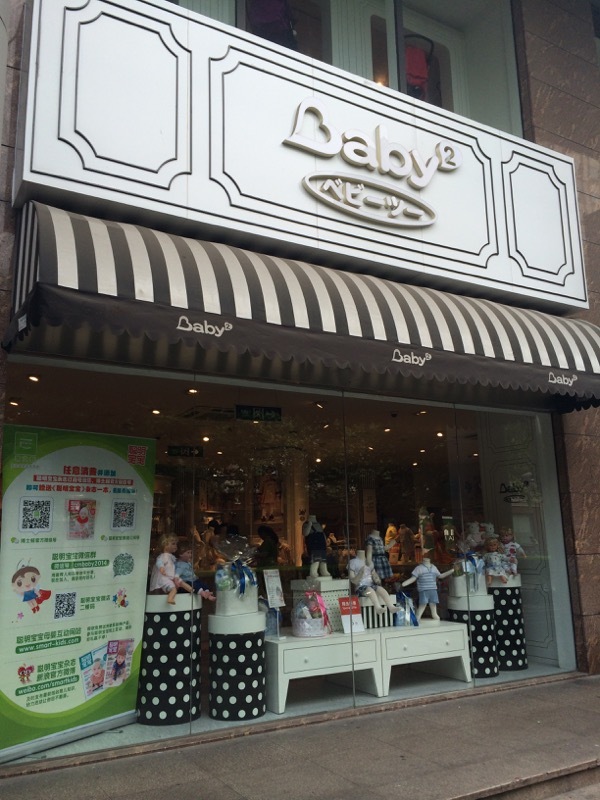 By 2010, they had opened over 1000 stores in 140 cities in China. There unique differentiator was there private label brands, Boshiwa, Baby2, Dr Frog, and their selection of over 30,000 unique items. In 2010, they listed on the HK Stock Exchange and raised HKD $2.5 billion with plans to grow by 50 percent in 2011, Boshiwa Growth. This was one of the fastest growing markets in China, but in 2011, there were troubles brewing at Boshiwa and in 2012 it was suspended from trading on the HK Stock Exchange, and their auditor resigned, Boshiwa Troubles, accounting irregularities, Boshiwa Accounting. This is a common problem in Mainland China as the regulations and laws are different and do not favour foreign investments. In 2014, a group of us were brought in as outside consultants to look at a hostile takeover and turnaround, but due to HK legislations, restrictions, and business complexities we walked away from the business. Today the doors are closed at Boshiwa International Holdings Ltd. This is about business or brands in conversations about opening in China and/or who want to be in China but do not have the government consent or approval or there GTM strategy finalized. Facebook, Mark Zuckerberg’s wife is Chinese, Mark is learning to speak Chinese, and he has traveled to and visited China many times to show his interest and intent to get Facebook open in Mainland China. 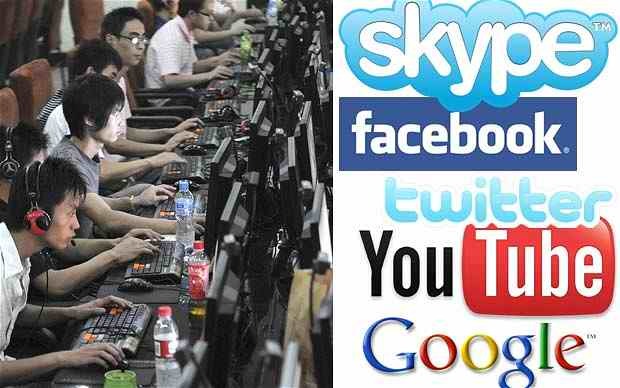 To date, Facebook is still banned from Mainland China well Chinese social networking sites continue to flourish. One of the earliest was Weibo and RenRen, but one of the largest to date is WeChat (Weixin) with over 700 million subscribers. 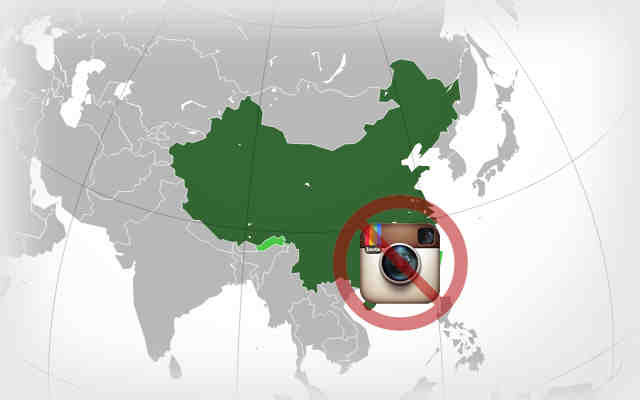 Instagram, the most popular photo and video sharing website is banned due to censorship issues. But if you’re lucky sometimes it seems to be working as the Chinese Government, debate the acceptance of the platform in Mainland China. In China, you can look for alternative providers for similar services to IG, one option is 17 – Your Lifes Moments and another is Nice. One thing to note about China is it is Chinese first and everyone else to follow. They are growing their economy and for now they have a preference for local Chinese businesses over foreign enterprises. As a foreign company you will have to obey by all laws, regulations, which are designed just for you. Back in 2011, I wrote an article called “This is China”, where you can see my views after 2.5 years of existence behind the great wall of Mainland China. Have opened businesses in China, but have not expanded at a rapid rate with success. Amazon, entered the Mainland China market first by acquiring Joyo.com (then China’s largest online book retailer) in 2004, then simplified their name to “Amazon China” in 2011 as well registered z.cn, one of the shortest domains found. Initially they had troubles with Joyo as it failed to understand the market and had piracy issues. By 2015 Amazon had secured less than 2% of the online retail market, and decided it would be best to open a presence on Tmall to help its struggling business. 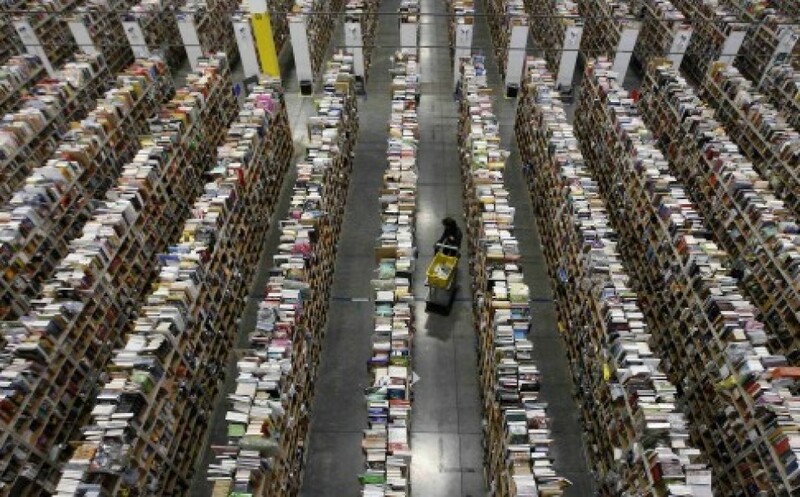 Amazon understands the C2C and B2C e-commerce marketplace with the importance of logistics (same business model with local innovations), SAO, Inventory, payment, pricing, and a trustworthy online store, with patience, persistence, intelligence, and execution they will become a leading dominant player in Mainland China. 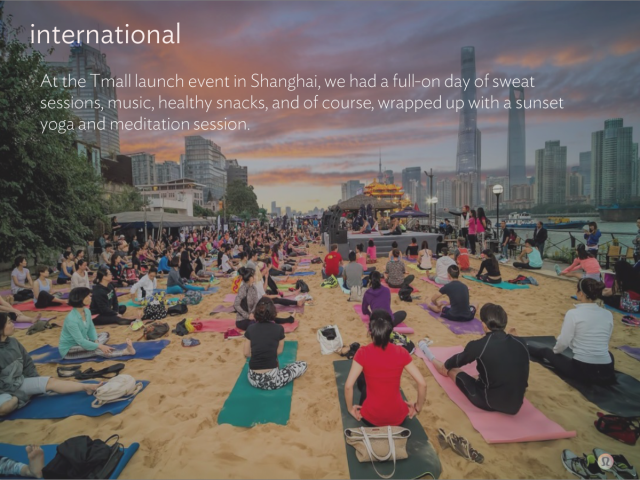 Lululemon started to enter Mainland China in 2013 with showrooms to organically capture the market, but it’s now 2016 and they still only have showrooms. Laurent Potdevin, the CEO is happy with their growth and the recent opening of the Lululemon Tmall Store. In my opinion Lululemon is to0 slow to market and is losing the opportunity and attention of the consumers. They are enjoying the market momentum and growth in North America and have lost sight of the Greater China marketplace. Arc’teryx, the premium outerwear maker is focusing on growing the lifestyle category, in 2011 they opened their first flagship store, with their goal to have 8-10 stores by 2016. Arc’teryx believes the direct connection with their consumers is important for their future growth. 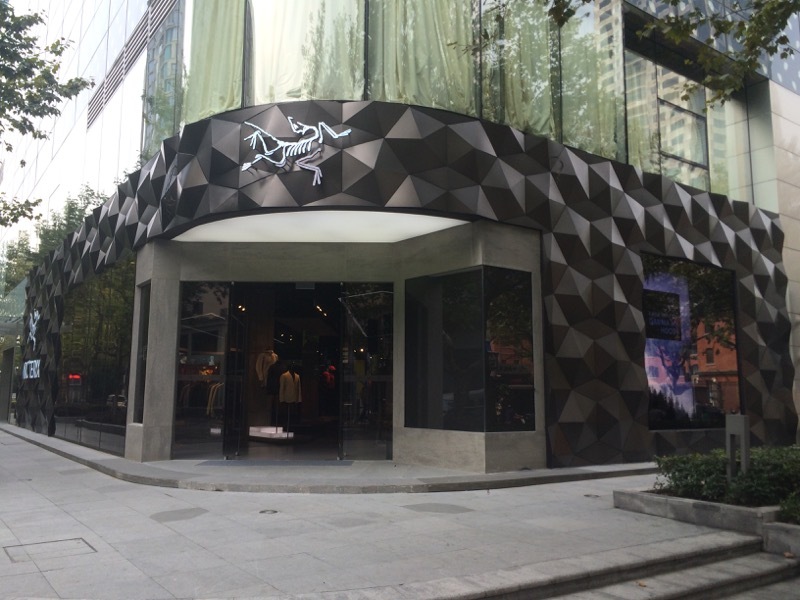 In 2015 they opened their first Shanghai store. This store is off the main strip by one block, it’s obviously a cheaper rent with less traffic. Most days I walk by I barely see anyone inside, I guess for Arc’teryx it’s not location, location, location as they are a destination. Victoria Secret is scheduled open their first store this year (late, 2016), Victoria Secret Store Opening, luckily they have location, location, location with a great previous tenant on the famous HuaiHai Road shopping street (The photo is not the store, but has the same corner coverage). There is an abundance of opportunities in the USD $240 billion dollar lingerie business in China. Since 2015, L Brands, Victoria Secret’s parent company, has opened and operated 20 stores in mainland cities such Shanghai, Chengdu and Guangzhou. But they are all marketed as “Victoria’s Secret concept stores” selling only accessories and beauty products such as perfumes, shampoos and canvas bags. Usually determined by their acceptance, abundance (number of locations), their expansion rate, their revenues, and ROI. KFC, opened their first location in 1987 as a joint venture, it was one of the first foreign restuarant chains to open in Mainland China, which quickly grew to become one of the most successful retail food chains in Mainland China, and the largest market for KFC. 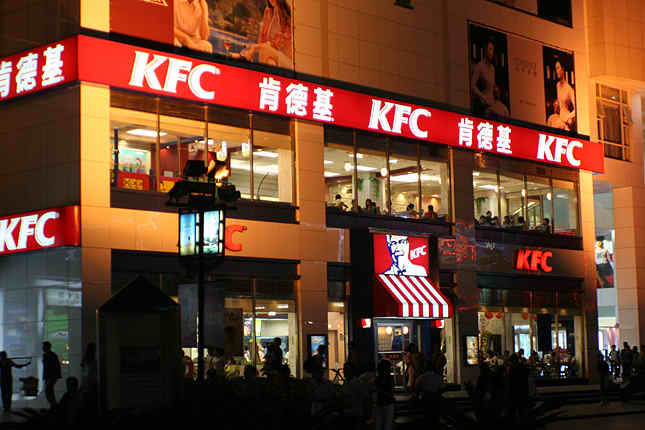 In 1992, after the Chinese government granted foreign companies greater access to markets, KFC China’s managers gradually developed the blueprint that would transform the chain. In 2015 there were over 4,560 KFC outlets in China. 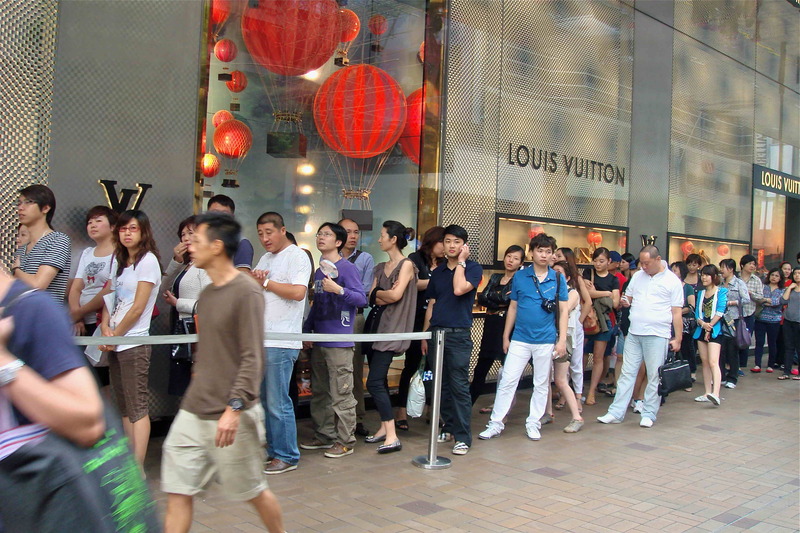 Louis Vuitton, was the first luxury brand to enter the Chinese market with the opening of their first store in 1992 and by 2013 had expanded to over 50 stores in Mainland China, as a luxury retailer they realized that a majority of their sales globally were coming from Chinese consumers. So even if stores in Mainland China did not have revenue, globally they were gaining momentum as they tracked the purchases back to Mainland China. For the opening of a new LV store, it was usually for a long line up of curious bystanders (coming to take a look) and consumers. But China has it challenges, with market saturation, complexities, declining sales , and store closures in China, store closures. in 2015, LV was predicted to close down 20% of their stores in Mainland China. Nike, has grown to be the largest sports retailer (brand) on the planet, Nike Growth. Phil Knight first travelled to China in 1980 as the country was emerging from the turmoil of the Cultural Revolution. Nike was in China to help establish the presence of sports with viral advertisements in the 90’s, sometime around that time Nike started to sell into the Chinese marketplace. 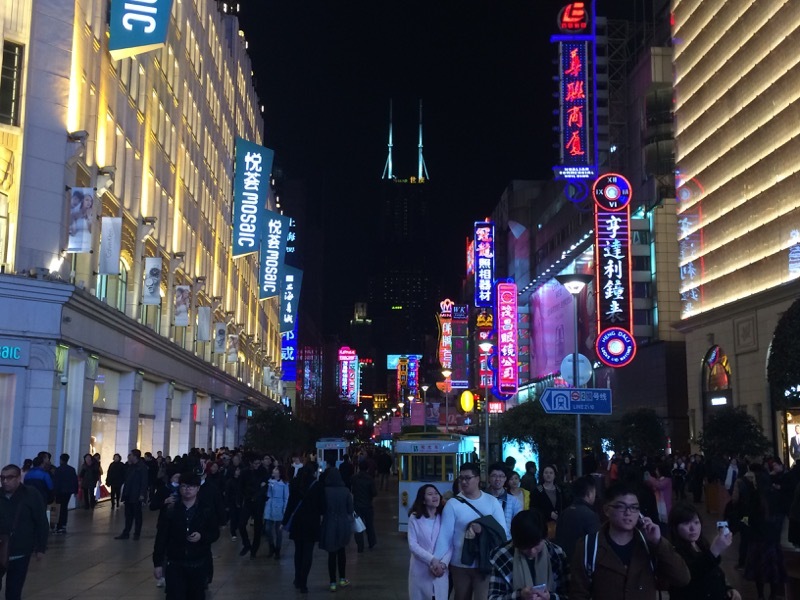 The Nike brand in China is the proven leader in the marketplace with over 7,000 stores and Greater China is the fastest growing region for the company. Back in 1995 Nike outfitted top Chinese athletes and sponsored all the teams in China’s new pro basketball (CBA) league. In 1999 Nike signed Yao Ming to a four year endorsement deal worth USD $200,000. In 2014 Nike opened the Nike Campus in Shanghai. Anta, is a sports brand that was established in 1994 by Chinese businessman (Ding ShiZhong) and listed on the HK Stock Exchange in 2007. 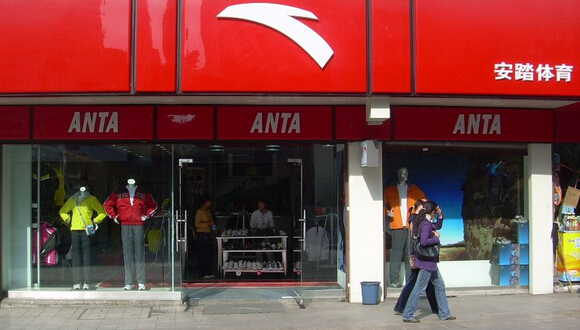 Anta has over 7,000 stores in China, claims to be the number one domestic sport brand, and their goal is to be the number two global brand in China surpassing Adidas or Nike by 2020. In 2010 Anta sponsored the NBA basketball player Kevin Garnett, in 2014 they partnered with the NBA to be an official merchandiser, and in 2015 they signed Klay Thompson. 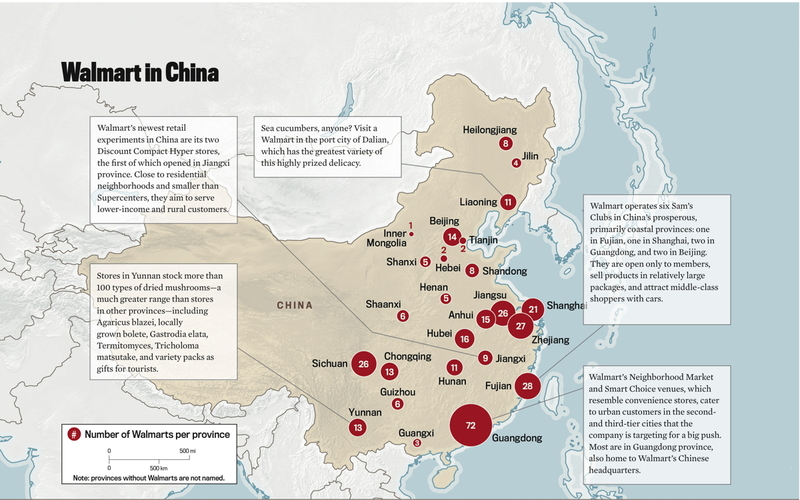 Walmart, forayed into the Mainland China market back in 1996 with their first superstore, joint venture, and since then has expanded into 433 retail units in 169 cities as of 2015. There approach is localization, with 99.9% of their workforce being Chinese nationals, with 95% of the merchandise being sourced locally. Walmart’s hopes to open another 117 stores by 2017. If only business was that simple, Walmart Growth Challenges. In 2010, Walmart launched there Sam’s club ecommerce website, and in 2011 Walmart acquired a small portion of Yihaodian to penetrate the ecommerce market, they liked the business so much that they acquired a 51% stake in 2012 and continue to use that as there GTM strategy for Mainland China, in 2015 Walmart acquired all shares of Yihaodian. Yihaodian has differentiated their business model from Baidu. In 2015 Walmart launched their own “Walmart” mobile shopping app as the “To Go Service Center” for self pick up, multiple online and offline e-payment options. In June, 2016 Walmart has formed a strategic alliance with JD.com, JD will now start selling Walmart items on their store front, in addition JD will take ownership of the Yihaodian marketplace platform assets. As part of the agreement, Walmart will receive 144,952,250 newly issued JD.com Class A ordinary shares, amounting to approximately 5 percent of total shares outstanding. Alibaba, initially launched by a Chinese businessman (Jack Ma) in 1995 as a directory service for Chinese businesses seeking overseas orders, was shut down by the Chinese government in 1997 by an anti-internet crackdown. In 1999, Ma re-launched Alibaba and was successful in raising foreign capital to grow his business. 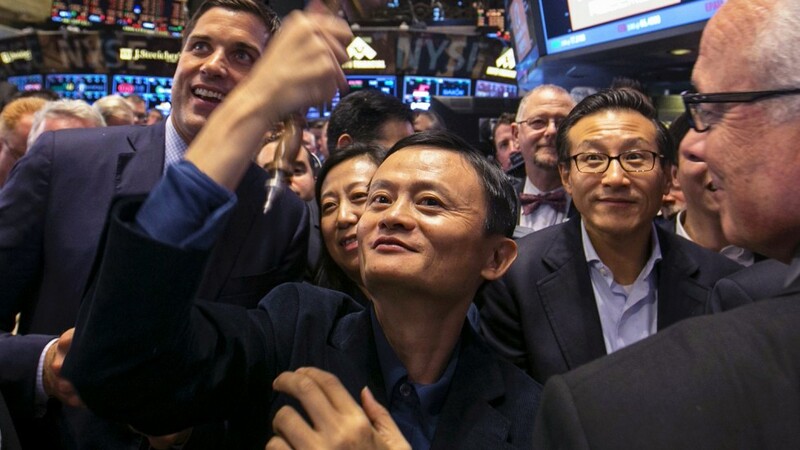 In 2014 Alibaba had the largest IPO to date on the US stock exchange at USD $21.8 Billion. General Motors, set up a Joint Venture in 1997 to penetrate the Mainland China market and is the largest automobile company in China, having the most sales of their “Wuling Hongguang S” family sedan in 2015 at over 655,000 units, Best selling cars in China. Total sales for GM China in 2015 was 3.61 million vehicles, which was a 5% increase from 2014. 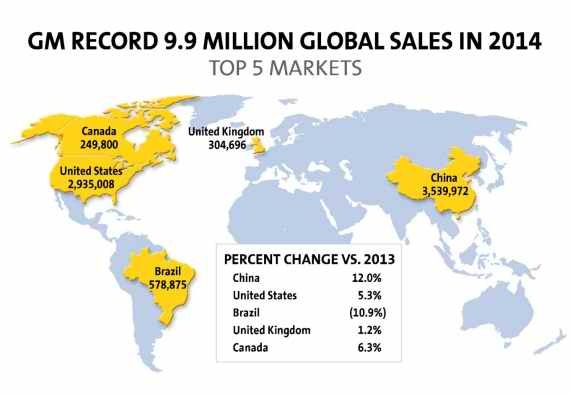 China is the largest global sales market for GM. Numbers in China is always a challenge due to accounting irregularities, the above chart and media show sales increased by 20% from 2014 to 2015, but it’s reported as 5% growth. In China I saw lots of GM and VW cars, compared to others, but I have noticed that the Chinese brands are taking more market share in the near future and gearing up for sales outside of China, including GM – Made in China. 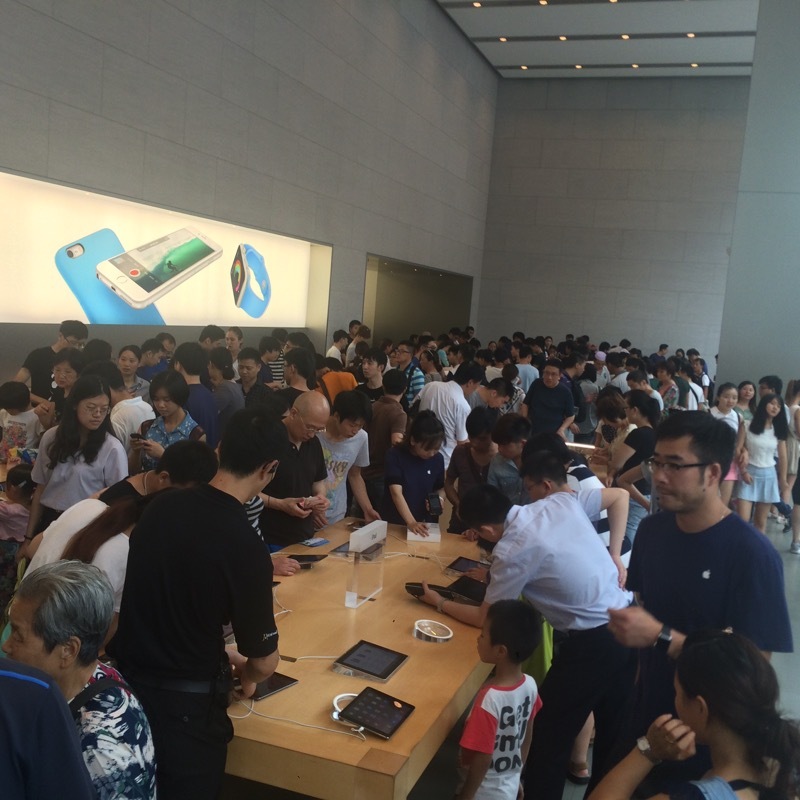 Apple, opened their first store in China in 2008, and now has 24 stores, with plans to have 40 stores by 2016. It’s no denying the importance of the Greater China region to Apple’s business, as the 2015 China Growth increases year over year. Its been a battle for Apple in China as there are fake unauthorized Apple Stores, products, and they are spending millions of dollars to get those companies to stop infringing on Apple’s intellectual properties and assets. This year out of the Blue the Chinese government has decided to ban iTunes and iBooks services, this is a growing concern to Apple as 25% of their revenues ($60 billion) come from the Greater China region (which includes mainland China, Hong Kong, and Taiwan). As Apple continues to grow globally they are challenges as an iPhone 6S (USD $849) is almost the same price as a MacBook Air (USD $899). The price structure is too similar and is starting to effect the brand with declining sales in China, I believe this will become a global problem as consumers become aware of the cost and value of the product offerings. 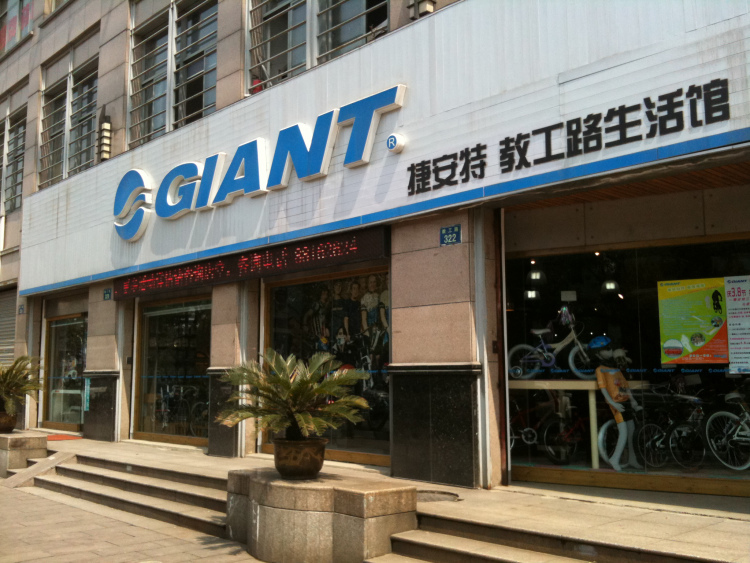 Giant, entered Mainland China in 1992, and there is a Giant Bicycle store in every city I have visited, so they have presence. I believe this niche player is in China for the long-term. In 2011, they sold 1,870,000 bikes in China which was a 40% increase from 2009, which would mean they should be selling around 3,600,000 bikes in 2015 and the most popular price point in China is RMB 2,000 (USD $320). As per a 2012 Article, they serviced 2,000 independent retail stores and have 2,500 dealers in China. Business structure, how you exist as a local and a foreign business is not the same, there are different laws, rules, and acceptance. Everyone says “YES”, not many specialize, and there are usually two ends, sides, ways, and existence to business. Being able to read between the lines of what is the really happening, or what is really being said, is only for the tried, true, and tested. Marketing, It is different!!! Completely different, this is an area where many fail. Retail, online, and services based business are marketed different than in established economies. It is good to be prepared for everything and anything, as there are lots of companies/people who will take your money, promise you the world, but execution and delivery is a completely different story. Mindset,Its is acceptable to do business their way, which is not the same as the western world and it gets more complex as every culture has its own nuance’s, patterns, and habits. Most are not discussed publicly and better kept behind closed doors, so everyone can save face. Some of the nuances are multiple books for financial filings, side businesses, under the table money, never saying “no” to business, and outsourcing. Management, empowering locals (localization) who understand the languages, culture, ethics, and principles. The locals are proud, and will do everything to ensure their community and culture is sustained, first and foremost they will look after the people and companies within their own promised land, remembering where they are from, supporting the economy, and being thankful to those who give them appreciation, respect, and support (what is acceptable in a third world developing country may not be the same as where you are from). Competition, be prepared for everything and anything, as a state owned enterprise you can still be successful if you are losing money, as a local private Chinese owned entity, you can get extra benefits and privileges from the provincial (county) government. This is where it gets complex, and an experienced and transparent individual is needed that can guide you through the muddy and turbulent waters. If you are really serious about bringing your business model to China, it is good to have a team of experts to help with execution. I am here to share my passion, expertise, and experience with those that understand the value of a foreigner entrepreneur mindset participating in China that lives, breathes with their eyes and ears on the ground everyday. Who understands the cultures, the languages, the people, and the businesses.